Did you say you wanted a CUPC Open of drama, controversy and, above all, high quality pool? Well, that is exactly what you got when 23 of the best pool players in the University turned up to the 2013 CUPC Open on Sunday 24th November at the Cambridge Snooker Centre. 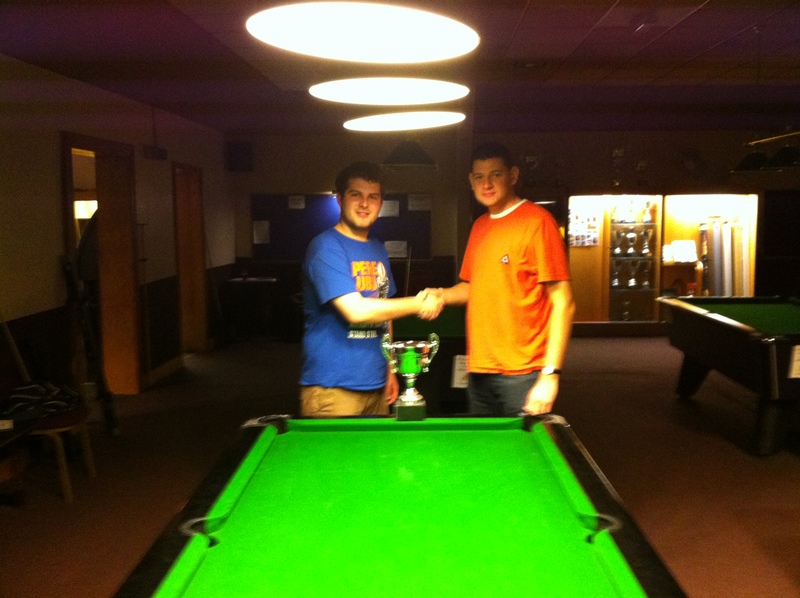 Many congratulations go to the winner Drew Miley, who claimed his second CUPC trophy in 4 years. The tournament began with a first round that saw CUPC veteran Emma Pewsey continue a remarkably consistent trend of getting knocked out in the first round of every Open she has played in. Always next time, eh, Emma..? Oh. In happier news, this stage of the tournament was engrossingly contested, with three of the seven ties going to final frame deciders. The second round had shocks, shocks and more shocks. The least surprising perhaps was a clinical Peter Newton disposing of a woefully out-of-sorts Uni A captain Tarun Manjunath, in a manner much more comprehensive than the 4-3 scoreline might suggest. Elsewhere in upsetland, Uni B captain James Ross and fourth seed George Seabridge were both dismantled 4-0 by Josh Lam and the mercurial Tom Brouwer. Eighth seed Ben Davey had to come through a decider against the experienced Bradley Wyatt. No trouble for the other seeds however, who asserted their authority by losing a combined total of one frame across all their matches. The quarter and semi finals were all tight. As tight as a pair of skinny chinos. Everyone got at least 3 frames. Nail Biters. Plenty of trips to the toilets, no doubt. Tom Brouwer demonstrated the mental strength to complement his undoubted talent by winning 5-4 against former Robinson captain Peter Newton to set up an all Homerton semi final against Drew Miley, after the Durham man got past Reading's Ben Davey 5-3. A case of Master vs Apprentice as Drew faced Tom next. At times it was difficult to tell who was who. Experience must count or something because Drew prevailed 5-3 to end Tom Brouwer's majestic and overdue cup run. In doing so, Drew created history by becoming the first player to reach the final of the Novices, Open and Masters. In the other half, Steven Herbert beat ladder leader and second seed Anthony Dinatale by the same scoreline. The Bristolian went on to face Uni A lynchpin Yiannis Stylianidis, himself a 5-3 winner over Josh Lam. How would Steve fare against the highly rated Novices Winner, who had been sending shockwaves through CAPL with his excellent displays for the Uni. Well, Mr Herbert was clearly too rejuvenated to care about reputations and triumphed in a decider to win 5-4. 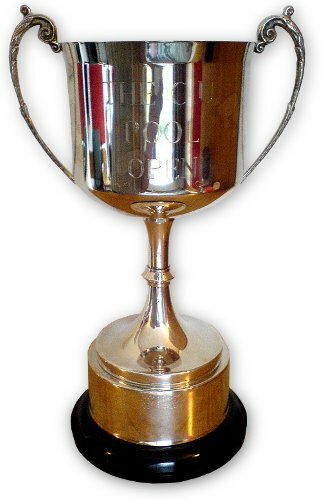 The final, played in front of a huge and raucous crowd, was contested by two players who had never won an Open trophy before. And the match was truly cat and mouse as neither of them could ever pull more than one frame ahead throughout the whole contest. Like in a Bangladeshi sweatshop, safety was in short supply. There were pots and clearances galore. Steve gets 5-4 up and within licking distance of the trophy. Drew refuses to give in and wins the next to take it into a decider. 5-5. In the final frame, Steve dry breaks, Drew then clears but jaws his final yellow. Steve cannily snookers him, gets two shots, and pulls out some outrageous shots, including a speculative double but incredibly misses the black when he had one shot remaining. Drew doesn’t miss the opportunity to drop in the black and dramatically claim his first Open trophy. A plate competition was set up for anyone who didn't win their first match and had eight entrants. Seeds George Seabridge and James Ross rediscovered their Swagger Jagger (you should get some of your own) to set up a highly anticipated final. George just edged James in a 5-3 victory.